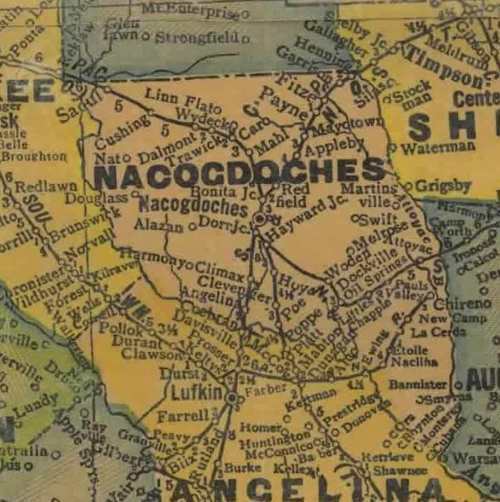 Created in 1826 as a municipality of Mexico. 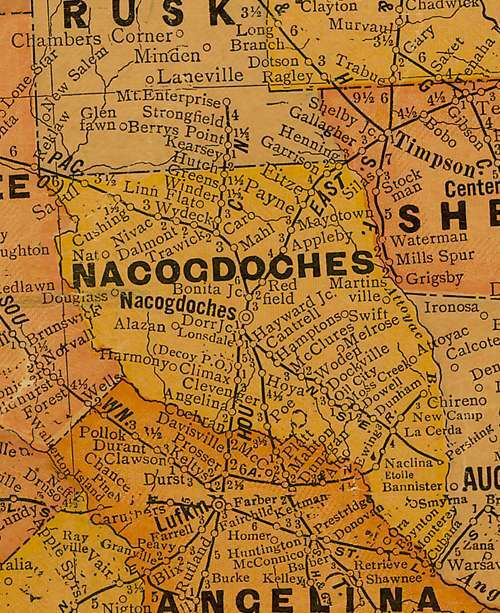 Organized as a county in 1837. 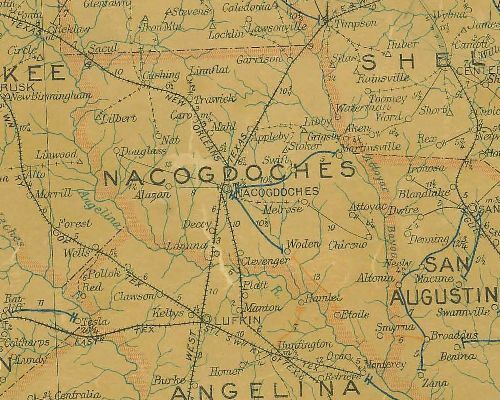 Both city and county were named after the Nacogdoches Indians.